Have you thought of writing your own? And maybe printing out pictures to go with them, just for your son's bedtime? I will have to go hunt down the books I read to my kiddo as a baby onward for you, but I do remember reading straight out of Lang's collections. Not all of them but a lot. I also had a couple of good other ones. The simple versions eg. 'ate them up' with no extra details go over well - the more graphic details, the more issues get raised. I also remember reading Howard Pyle's The Wonder Clock, and lots of illustrated books too. I recommend starting with the flat classics and branching out as you feel comfortable. They're going to get given the Disney and sugary-PC version in preschool on with no input by you (you will have no choice) so I recommend starting soon, with basic books, telling it with puppets (keeping things simple and boundaries clear so your son doesn't worry about bad people coming back), and there's always those old 45 records you can now find audio files for online to listen to together. A lot of those inspired further love as a young child for me and others I know and I used some for my son too with great results. Haha yeah that Disney book was left at my parents' house after the baby shower and...I never bothered to bring it home! That's a really good distinction, to look for books that tell the story simply and avoid gory details/illustrations. This is a very tricky one for me, as even when I was a very little kid I was still told quite a few of the darker versions of the stories. 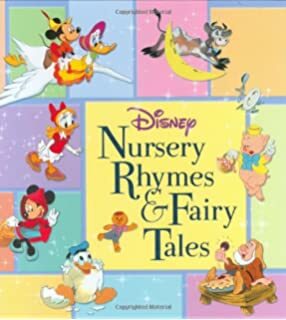 Both "Great Fairy Tales Treasure Chest" and "Richard Scarry's Animal Nursery Tales" are mixed bags, as they both sometimes choose lighter versions for some of the tales, both opt for darker versions for some of the other tales. I also note that sometimes loose ends left in the tales could be a problem. In Rapunzel, I always wondered as a very young child what happened to the witch. My parents came up with an explanation that maybe the hair fell out of the two and she was trapped there forever, but for me that explanation was bogus because every smart little kid knows that a witch can use her magic to make a ladder. So my brother and I (who would often act out a lot of the stories we liked, playing multiple characters and such at a very young age) made up an ending where Rapunzel and the Prince kill the witch in an epic battle, and we in all seriousness considered it to be the real ending to the story. But while that worked for us, I know other children don't have as broad of an imagination to invent new endings like that. Similar with the Gingerbread Man, where he gets eaten at the end. I always took it for granted that since he was a food, he was supposed to be eaten at the end, and that it was a good thing. But I know that other children won't think the same way, and will probably sympathize with the Gingerbread Man. A good way to tackle this story when you read it to a child might be to pause every once in a while and say, "Who's going to eat him?" This might put a child on track with trying not to sympathize with the Gingerbread Man, but to hope that someone eats him at the end. Really, the tamest story I can come up with right now is "The Three Bears." It's really difficult trying to figure out what a child is going to like to hear, because everyone is different. I'll try to think of more later. That's good to hear from someone's perspective who WAS told darker fairy tales as a younger child-because it's so rare! And clearly it didn't seem to traumatize you, but instead promoted interest in fairy tales, so that's good reason right there to not shy away from darker elements. I really like that idea of asking the child "who's going to eat him?" throughout Gingerbread Man-you can do that same type of thing to prepare kids for other potentially disturbing parts of fairy tales too. [Obligatory "Not a parent" disclaimer]What I'd look out for are the pictures. First of all as long as your child can read you can make up the text anyway ;) I think that's how story time went most of the time in my family: A person telling a story freestyle while pointing at certain details in the appropriate picture. Secondly whenever I was scared of a book as a child it was almost never because of the plot, but because of the pictures. Of course as an adult you can't always know what children or rather your child will find scary, so you have to trust your gut on that and read your son's reactions. 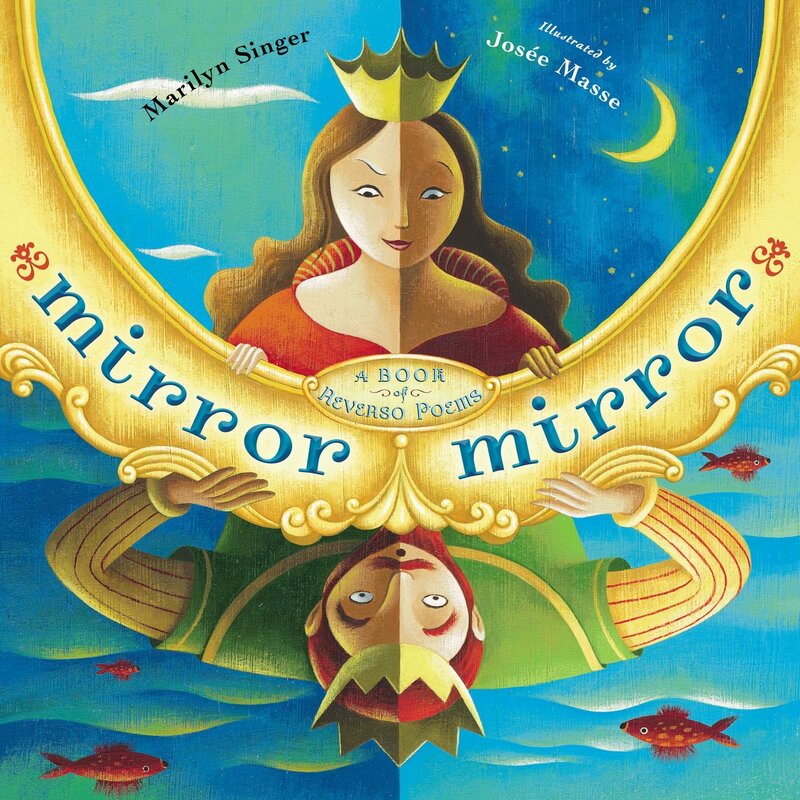 As for the "Mirror, Mirror" book it seems fun, but more for older children that are already familiar with the traditional tellings. It seems like the fairy tale version of the "Why did the chicken cross the road" joke where children who are told it too early don't get enjoyment out of the subversion, because they're not familiar with the formula yet. I'm sure Disney has tons of storybooks aimed for all different audiences...I'm sure the one we have was aimed towards an especially young audience, and the assumption is probably that American parents are more likely to object to any violent/sad elements. That's a really good point. I'm sure we parents assume our kids pay attention to every single word we read when they probably mainly just look at the pictures, or maybe don't understand a lot of the text anyway and use the pictures to understand what it means. And yes, the "Mirror Mirror" book would be confusing to someone who wasn't familiar with the traditional plots of fairy tales, I didn't really think about that. It's actually kind of amazing we all seem to be familiar with certain plots early on, given that there are so many parody versions, "kid friendly" versions, etc., and a lot of parents don't just read their children straight up fairy tales. Very nice post. I liked your story. Thank you very much for sharing. I want to share something with you too. I have also written a similar story book. Which I want to share with you. I want to share his link with you. So you request that you please read this story once you please. And I hope you like it. Share your thoughts with us instead of reading this story.